Did you know herbs aren't just for cooking? 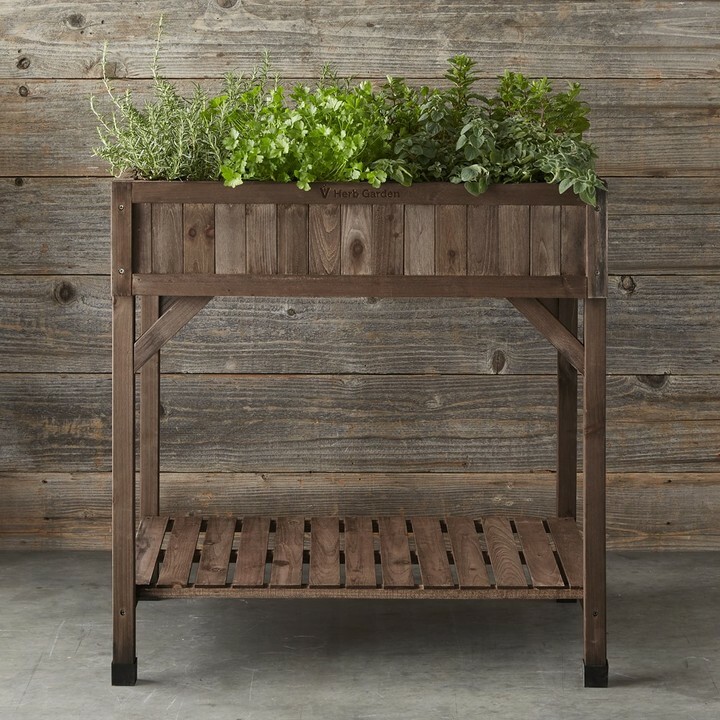 Decorating with herbs is a simple way to add natural beauty to your home! 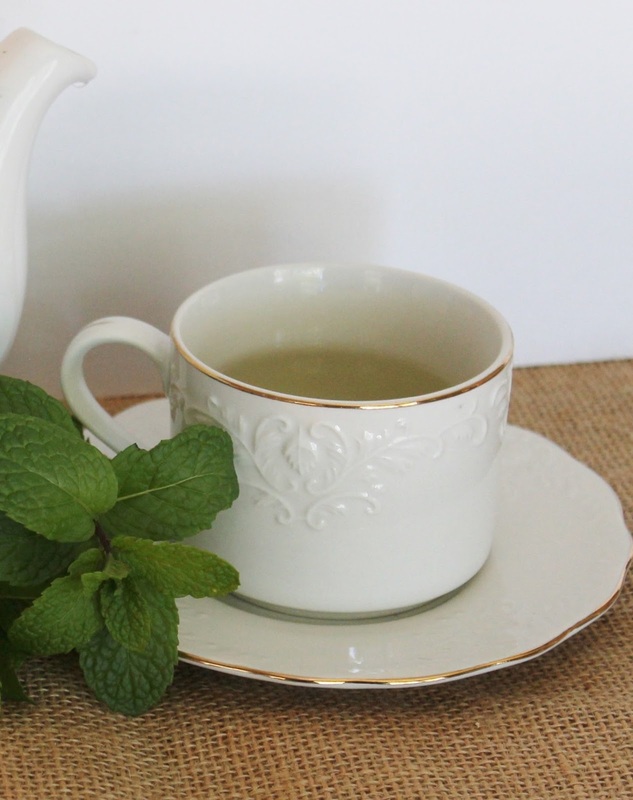 Did you know that decorating with herbs can bring a natural beauty to your home? This summer I planted mint, parsley, and oregano in container gardens on my patio. I thought I would bring a few clippings inside and display them in my home. 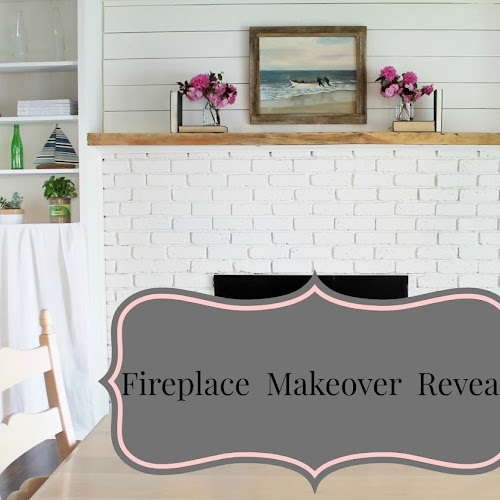 I Sprinkled them here and there in different rooms to enjoy their natural fragrance. Aim to make your meals taste fresh by using herbs when you cook. Keep fresh herbs nearby in the kitchen by placing them on a window sill or kitchen counter. For a farmhouse look, place an herb plant inside a planter. Or clip sprigs and put them in tin cans or mason jars. Make a centerpiece for your dining room table by gathering a mix of flowers and herbs. Grocery stores are great places to pick up a plant or two. For this centerpiece, I used one colorful plant and two herb plants placed in decorative planters. That's B lying on the floor watching my every move. We adopted her a year ago and she never lets me out of her sight. She is our new sweetheart. Another way to display herbs is on the kitchen island. 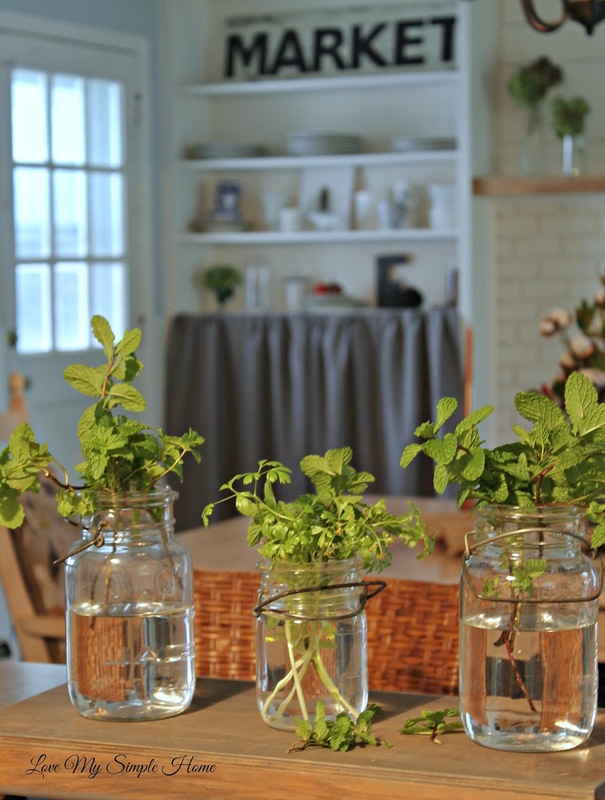 Clip herbs from your garden (or store bought) and place them in glass bottles or mason jars on top of your kitchen island. 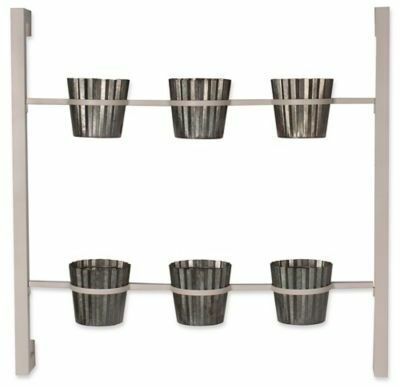 Adding herb plants to a shelf is an unexpected way to add greenery and fragrance. 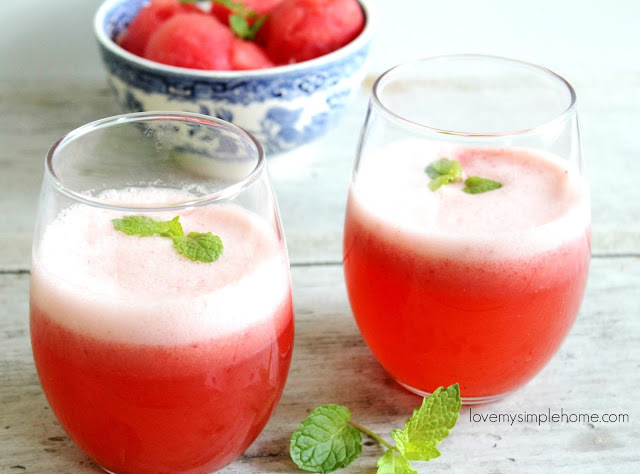 My favorite cold drink this summer is this Watermelon Strawberry Drink made with mint. 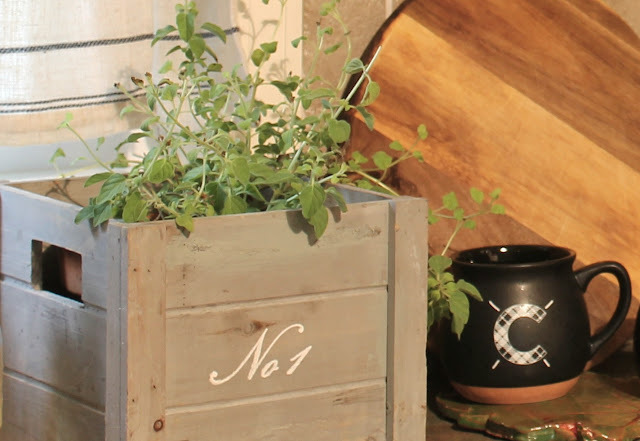 I hope I gave you some ideas on how you can decorate and use fresh herbs in your home. So cute!!! I bet it smells so good too! !